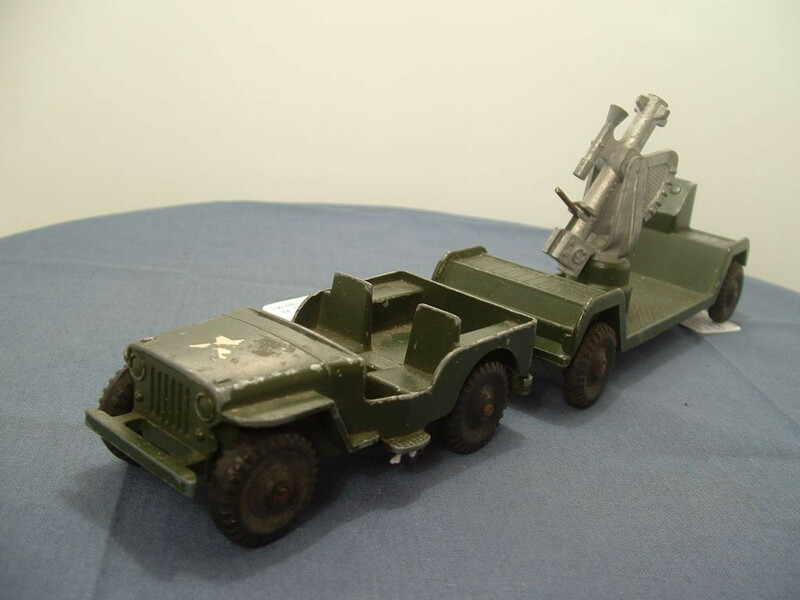 This model is the Lonestar MFU-5 Jeep and Rocket Launching Trailer in olive. The Jep is a two-piece cast metal body with molded grille, head lights. side lights, and bonnet. At the sides there are cast outlines of body work. The interior is also cast as part of the main body and comprises the "steering column", two front seats, and rear bench seats. Missing is the tin(?) windscreen. The trailer is a one-piece casting with features such as the wheel guards, diamond deck plating on the floor, control box, and stand for the missile launcher all cast in to the body casting. 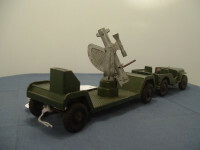 On top of the stand is a separately cast missile launcher from which a plastic missile would have been launched using the rudimentary spring loaded pin. The base of the Jeep incorporates the front bumper, tow hook, and rear light. It has "'JEEP', A Lone Star Product" on two lines cast above the "driveshaft", and "Made In England" cast below the "driveshaft". It is held to the body by two machined rivets. There is no base plate on the trailer. 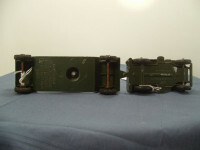 The trailer has larger text reading "Large, Mobile Fighting Unit, A Lone Star Product, Modern Army Series, Made In England" cast on five lines to the rear middle of the under side of the trailer. All wheels are black, one-piece rubber, hub and tyre units on steel axles. 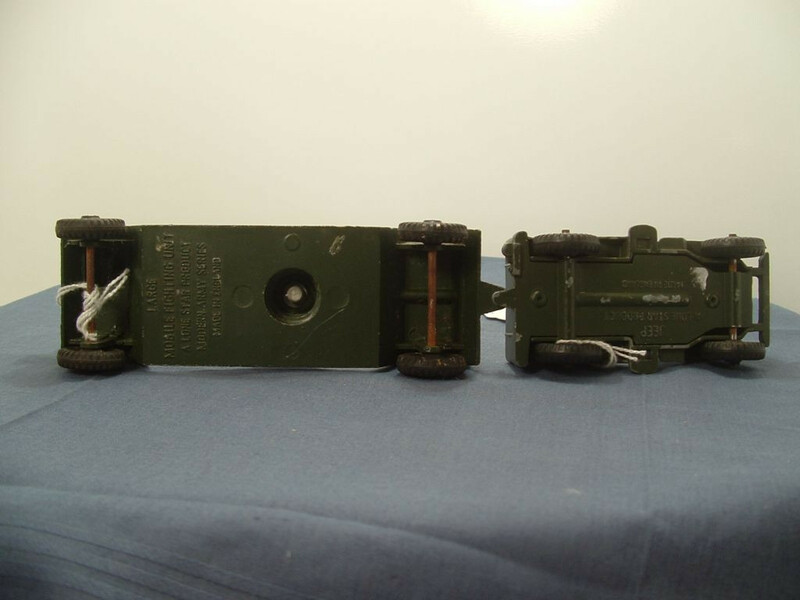 The axles are pressed into the hubs and not crimped or domed in any way. They are held to the body of the Jeep by the base plate and to the chassis of the trailer, by passing through posts that protrude down from the trailer body casting. This model was issued between 1958 and 1960.